Coriander originated from the Mediterranean region, where it has been grown since ancient times. It is now widely cultivated in Europe, North Africa, India, South America, Malaysia, Thailand and China. 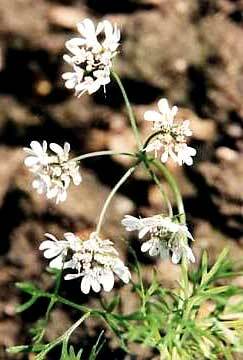 It grows abundantly in black soil and arid regions. Coriander is a very beneficial and popular herb. Fresh leaves are used as a flavouring agent and dried coriander seeds are used as spices in food preparation. Coriander is both an annual and a perennial herb and is rich in various food elements. The ripe dried coriander seeds have an aromatic smell and have a well blended spice taste. 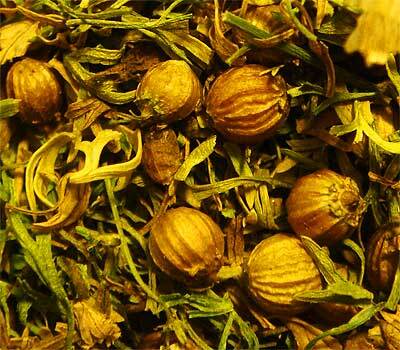 Indian coriander contains an essential oil, which causes irritation when in contact with skin for a long time. This is a great flavouring agent, stimulant, carminative, it helps in stomach ache and griping pain, is a tranquilizer, a germicidal, diuretic, antipyretic, curtails excessive requirement of water in digestive system and is a tonic. The leaves of coriander are stimulant and tonic; they strengthen the stomach and promote its action, relieve flatulence, increase secretion and discharge of urine and reduce fever. Chewing coriander seeds is an ancient (some say biblical  ) remedy for halitosis or bad breath. Many modern breath freshner products incorporate coriander seeds because their essential oils help to kill breath odors. You can also simply chew a few seeds for a minute or so and then spit them out to obtain these benefits directly. If you gather seeds from plants in your garden, be sure to use only mature seeds: seeds that are tan or brown and have a sweet fragrance. Unripe coriander seeds are green and should not be used. Coriander leaves also act an aphrodisiac, help in the removal of catarrh and phlegm from the bronchial tubes thereby counteracting any spasmodic disorders. Coriander seeds reduce fever and promote a feeling of coolness. Coriander juice is highly beneficial in beneficial in deficiencies of vitamin A, B, B2, C and iron. One or two teaspoon coriander juice, with fresh butter milk is an effective cure in treating digestive disorders such as indigestion, nausea, dysentery, hepatitis and ulcerative colitis. One teaspoon of heated powdered coriander seeds with water checks loose motions. Half a teaspoon coriander powder with a little rock salt after a meal also helps indigestion. One teaspoon of coriander powder and honey 3 times a day is an effective remedy to cure dysentery. Juice of fresh coriander leaves, applied on the forehead relieves headache. Coriander powder with boiled rice water checks excessive bleeding during menses. Six grams of coriander seeds should be boiled in half a litre of water, till only half the water remains. Taking this in warm water with honey checks excessive bleeding. Boil 125 grams of ground coriander seeds in 500 grams of water till 125 grams remains. Then mix 125 grams of raw sugar with it till it gets thick. Taking this mixture regularly alleviates mental weakness. A teaspoon of coriander juice, mixed with a pinch of turmeric powder, is an effective remedy for pimples, black heads and dry skin. This mixture should be applied to the face, after washing it thoroughly every night before retiring. 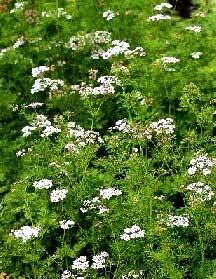 The young plants of coriander are used in chutneys, sauces, curries and soups. The volatile dried coriander seeds are an important ingredient of curry powder and are also used for pickles, sauces, seasoning confectionery and for flavouring spirits, particularly gin. Taking 100 grams juice of fresh coriander leaves daily is a great source of all vitamins and also fresh coriander leaves, should be used in raw form, as a flavouring agent, to prevent the loss of vitamins due to heating or boiling. Cultivated for over 3000 years Coriander is mentioned in all the medieval medical texts, by the Greeks, in the scriptures, by early Sanskrit authors - who called it kustumburu and even in the Egyptian Ebers papyrus. Its name is derived from koris, the Greek for bedbug, since the plant smells strongly, of' the insects. Description Small glabrous solid-stemmed hardy annual plant from 30-60 cm tall on a thin, pointed root, lower leaves pinnate, cleft and lobed, the upper bipinnate and finely dissected. 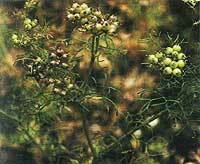 Small, flat, compound umbels of white and reddish flowers appear from mid-summer to early autumn, followed by brownish orbicular fruit with an unpleasant smell before they ripen, then becoming spicy and aromatic. Distribution Indigenous to mediterranean and Caucasian regions., now widespread weed in many temperate zones. Prefers dry soil and full sun. Cultivation Unknown in the wild state, cultivated commercially and horticulturally throughout the world. Seed sown in late spring or early summer in drills 2 cm deep; need thinning later. Germination may be slow. Constituents Volatile oil, comprising borneol, coriandrol, d-pinene, P-pinene, terpinene geraniol, and decyl aldehyde. Uses (dried ripe fruits, leaf and root) Aromatic; carminative; stimulant. Mostly used to prevent griping caused by other medication, such as Senna or Rhubarb. Chewing the seed stimulates secretion of gastric juices. Bruised seed is applied externally as a poultice to relieve painfuljoints in rheumatism. Root can be cooked and eaten as a vegetable. The fresh leaf is probably the most widely used of all flavouring herbs throughout the world. 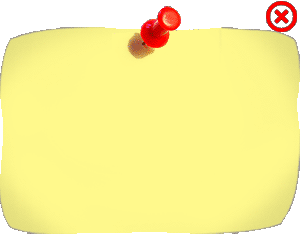 The seed is employed in baking, as a spice or condiment, in liqueur manufacture, and in confectionery. May be added to pot-pourris.